I’ve had a few people ask me what is the difference between soft cheese, hard cheese, natural cheese and processed cheese. I’m not an expert in cheese; just happened to marry someone who LOVES cheeses and comes from a cheese making country (eg France – which has over 400 different types of cheeses). – Processed Cheese: What is that Stuff Anyway? Basically, cheese is divided into natural cheese or processed cheese. Natural cheese is made up of soft or hard cheeses. The process in making natural cheese is basically cooking milk and getting curds from this process. Curds are then gathered and pressed or formed in moulds before they are aged. I skipped a few processes like salting and adding flavours (depends on what cheese you buy, eg black pepper or ham cheese will have those flavours). Soft cheeses like Brie and Camembert are not pressed and are aged by exposing them to bacteria and fungus. This is the main reason why they are NOT suitable for babies and toddlers. Hard (firm to hard) cheese like Cheddar, Parmesan, Comte, Colby, Edam, Gouda are pressed in a mold and age for a long period. They have very little water content as opposed to soft cheeses. Cottage cheese and cream cheese is not aged or pressed – it’s basically cheese that is fresh from the curdling process with minimal processing (compared to hard and soft cheese) and is also suitable for babies. Processed cheese on the other hand are things like cheese spreads and cheese slices like Kraft Singles. These are made from natural cheese leftovers and processed further. It contains more salt, preservatives, colouring as well as milk. This is why a lot of weaning/solid feeding sites will tell you that when introducing cheese to babies, it’s best to avoid processed cheese slices and stick to cheese blocks. It’s cheaper and more nutritious. As for how to serve cheese, you can give cheese as a snack on its own or put in an omelette, in soups (for flavour or to thicken), over pasta like mac & cheese, on top of baked items like baked potatoes/cauliflower/etc as a garnish and so forth. There is no hard and fast rule as to how you serve cheese. 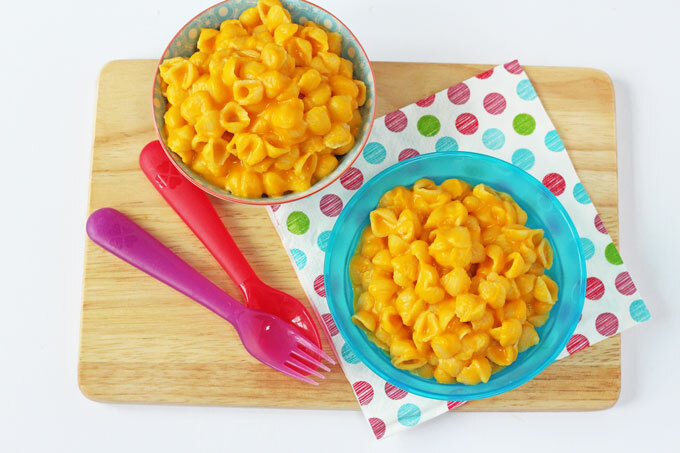 It all depends on what type of cheese you’re giving your kiddo (block cheese like cheddar or cream cheese or cottage cheese). When buying cheese, look out for sodium content – it should be below 680mg per 100 gm of cheese. I always get those with 650-610 mg per 100 gm cheese – Cheddar, Swiss, etc. Avoid ultra salty cheeses with high readings of salt like Mini Baybels, feta and so forth. hi there, i read that Cottage cheese and cream cheese will be good. can i buy fm NTUC supermarket? is it in big block? yeah, my boy loves philadelphia cream cheese, and so do I! my babies going to 10 months… wondering they are suitable to eat cheese? natural or processed?